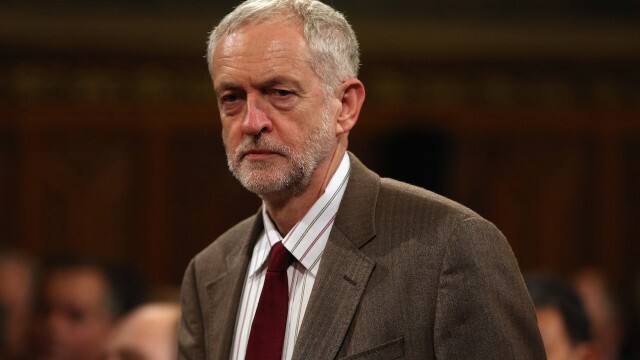 Jeremy Corbyn’s rise to the leadership of the UK Labour party has produced an unmistakable giddiness on both the left and right. Some can’t believe their luck: Corbyn’s total lack of electability, they think, will ensure a Tory victory, and they may well be right. The giddiness of the left, however, comes from Corbyn’s entirely unexpected, vertigo-inducing ascendancy. They think that Corbyn will effect a real political and social change. And they may well be right. But giddiness is just one emotion. There is a great deal of hysteria too, and a sceptical eyebrow duly raised and lowered. Fear and anger is palpable; someone is gaining power and that usually means that someone else is losing it. There is, all things considered, a debate, or a series of debates, and this is a good thing. Debate and argument are oxygen to a democracy. I want to focus on just one of these arguments, which is an old argument – an argument about what it means to be on the left. The most basic – or perhaps the least quarrelsome – definition would invoke something about solidarity with the oppressed. That includes the oppressed in one’s own society as well as those who struggle across oceans and borders and cultures. This is a definition, I think, that is impossible to cheapen. Corbyn’s foremost solidarity extends to the British 99 percent, to borrow a phrase I like. These are the individuals trodden on by decades of neoliberalism, its attendant crises and the resultant austerity, joblessness and bitterness. I like to think of Corbynmania as part of neoliberalism’s slow but inevitable discredit – years after the global financial crisis and the Occupy movement, it is mildly exhilarating to think that, finally, citizens are starting to realise that democratic socialism might be onto something after all. There is much to admire in Corbyn’s programme. He wants to discard austerity, reverse decades of privatisation and its failures, spend more on education and healthcare, make university free, and put in place a host of other policies that make the hearts on the democratic socialist left pulse with vigour and hope. There is something else in this programme, however, that makes me uneasy, and it leads us back to the question of solidarity and the left. Corbyn belongs to the anti-imperialist left, which is a rather neutral term, or the masochistic and regressive left, which are terms I find more appropriate. This is the left that thinks the West’s sins are beyond expiation. The solidarity of this part of the left extends to the dictatorships in Cuba, Venezuela and Russia, in addition to movements like Hamas and Hezbollah. This is the left that wanders into the company of the reactionary right. Corbyn, I’m sorry to say, has found solidarity with all the regimes I have mentioned, and it is reasonable to enquire about this leftism and its contradictions. A Western left that makes secularism non-negotiable in its own societies finds friendship in explicitly theocratic and genocidal movements; a Western left that has done so much to advance the cause of gay rights supports regimes who bully and beat homosexuals at best and kill them at worst; a Western left that cares for the health of its own democracy demonstrates a soft spot for dictatorship, authoritarianism and the recrudescence of fascism. I look around at the intellectuals and magazines of the Australian left, and no one seems at all interested in this question. Overland has published a number of online articles praising Corbyn, but none of them even addresses the issues I have raised. In Crikey, Guy Rundle acknowledged Corbyn’s anti-imperialist politics, but he certainly didn’t think of them as shortcomings. He praised Corbyn as “a socialist, a green, an anti-imperialist, and a tireless campaigner for the oppressed and imprisoned abroad.” Rundle is so giddy that he doesn’t stop to ask just who those “oppressed” might be, and whether they merit our solidarity. In New Matilda, Jeff Sparrow congratulates Corbyn on his democratic socialism and his articulation of policies that the public likes, which include his opposition to the Iraq war. Therefore, Sparrow argues that “Corbyn’s role in the Stop the War Coalition is an electoral plus.” I remind Sparrow that Stop the War argued in favour of the murder of Coalition troops and Iraqis through its support for the “resistance” – the ex-Baathists and al Qaeda jihadists who were also the forerunners of the Islamic State. Is that really an electoral plus? And even if it is, that doesn’t invalidate criticism against the public and its mistaken support for an altogether contemptible organisation like Stop the War. Sparrow is unable to make distinctions here, although that seems to be the distinction of the Australian left. I have been speaking of an argument, and yet, the Australian intellectuals and journalists and their magazines seem quite uninterested. I wonder if the Australian left is anti-imperialist by default. Can there be a social democratic and anti-totalitarian left? Timothy teaches English in South Korea, but he would really like to write and live in respectable poverty. One thing that you seem to have not taken into account is this: There cannot be socialism in one country; Socialism is a global phenomena and cannot be seen in its deformed state alone in the countries you have mentioned; Worth reading up on the subject if you have time; The history of the USSR is one example where attempted socialism went wrong because of the international Capitalist (Imperialist) pressure; Its also worth asking yourself some questions like: what would you do if you were in Palestine?? support Hamas? Solidarity expressed by people/leaders around the world with people under attack is usually with the people who are suffering and what ever leadership that is helping them at that point of time; It does not automatically mean that they support every detail of what is going on; The approach begs a question: Why is it that when any left group/leader expresses views or campaigns for a people under attack by Imperialists they are required to dot the ï’s”and cross the “t’s” while few questions are raised when Imperialists and their agents occupy/ivane othert countries? Fascinating??? Not attacking people is not really the same as totally supporting them. There are obviously elements of Hamas that is extremely violent and should not be supported. Unfortunately it is those attacking Hamas that legitimises their use of violence in the eyes of fellow sufferers. Talking has only resulted in more oppression and more land being stolen. What is the answer? Who knows what freedoms Cuba would have allowed if they were not under constant attack and destabilisation from the US. If you are under siege then you rally together more and fight. The crimes of ‘your’ side are ignored when you have a common enemy. Sedition is not looked upon lightly in any country and the CIA has been intentionally fostering sedition within Cuba. Stop attacking and they may un-circle the wagons. I don’t know any ‘lefties’ that support the capitalist oligarchs of Russia. They have gone from being the godless commies to the Russian Orthodox crony capitalists still playing same power games against the US fought with proxy wars in other countries.